Match ends, Elgin City 3, Edusport Academy 1. Second Half ends, Elgin City 3, Edusport Academy 1. Goal! 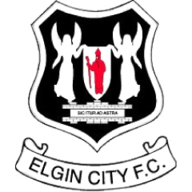 Elgin City 3, Edusport Academy 1. Alisdair Sutherland (Elgin City) right footed shot from the centre of the box to the top right corner. Assisted by Calum Ferguson. David Sinclair (Edusport Academy) wins a free kick in the defensive half. Goal! Elgin City 2, Edusport Academy 1. Louis Babel (Edusport Academy) right footed shot from the centre of the box to the top right corner. Thomas Garnier (Edusport Academy) hits the bar with a header from the centre of the box. Goal! Elgin City 2, Edusport Academy 0. Darryl McHardy (Elgin City) header from the centre of the box to the bottom right corner. Assisted by Jamie Reid with a cross following a set piece situation. Chris McLeish (Elgin City) wins a free kick on the right wing. Foul by Raffi Krissian (Edusport Academy). Foul by Sofiane Zeghdane (Edusport Academy). Substitution, Edusport Academy. Thomas Garnier replaces Connor Higgins. Phillippe De Liederkerker (Edusport Academy) wins a free kick on the right wing. Foul by Calum Ferguson (Elgin City). Grand Nelson (Edusport Academy) wins a free kick on the left wing. Substitution, Edusport Academy. Louis Babel replaces Angelo Steyer because of an injury. Attempt missed. Calum Ferguson (Elgin City) right footed shot from the centre of the box is close, but misses to the right. Attempt saved. Alisdair Sutherland (Elgin City) right footed shot from outside the box is saved in the centre of the goal. Delay in match Angelo Steyer (Edusport Academy) because of an injury. Corner, Elgin City. Conceded by Angelo Steyer. Substitution, Edusport Academy. Phillippe De Liederkerker replaces Salam Ahmed Bouchentouf. Substitution, Elgin City. Calum Ferguson replaces Chris Dodd. Attempt missed. Connor Higgins (Edusport Academy) right footed shot from outside the box misses to the right. Penalty saved! Brian Cameron (Elgin City) fails to capitalise on this great opportunity, right footed shot saved in the bottom left corner. Penalty conceded by David Sinclair (Edusport Academy) after a foul in the penalty area. Attempt missed. Jamie Reid (Elgin City) right footed shot from the centre of the box is just a bit too high. Substitution, Elgin City. Jamie Reid replaces Jon Paul McGovern. Attempt missed. Thomas Reilly (Elgin City) right footed shot from outside the box is just a bit too high. Corner, Edusport Academy. Conceded by Cameron Eadie. Attempt missed. Grand Nelson (Edusport Academy) right footed shot from outside the box is too high. Substitution, Elgin City. Matthew Cooper replaces Jordan Allan. Sofiane Zeghdane (Edusport Academy) hits the right post with a right footed shot from the centre of the box. Attempt blocked. Alisdair Sutherland (Elgin City) right footed shot from outside the box is blocked. Jon Paul McGovern (Elgin City) wins a free kick in the attacking half. Foul by Angelo Steyer (Edusport Academy). Raffi Krissian (Edusport Academy) wins a free kick in the defensive half. Delay in match Sofiane Zeghdane (Edusport Academy) because of an injury. Attempt saved. Ryan McCann (Edusport Academy) right footed shot from outside the box is saved in the top centre of the goal. Attempt blocked. Ryan McCann (Edusport Academy) right footed shot from outside the box is blocked. Second Half begins Elgin City 1, Edusport Academy 0. First Half ends, Elgin City 1, Edusport Academy 0. Angelo Steyer (Edusport Academy) wins a free kick in the attacking half. Attempt saved. Jordan Allan (Elgin City) right footed shot from very close range is saved in the centre of the goal. Attempt missed. Alisdair Sutherland (Elgin City) right footed shot from the left side of the box is too high. Attempt saved. Thomas Reilly (Elgin City) right footed shot from outside the box is saved in the top centre of the goal. Attempt saved. Jordan Allan (Elgin City) right footed shot from outside the box is saved in the centre of the goal. Attempt missed. Grand Nelson (Edusport Academy) right footed shot from the centre of the box is just a bit too high. Attempt saved. Jordan Allan (Elgin City) left footed shot from the centre of the box is saved in the bottom right corner. Attempt missed. Raffi Krissian (Edusport Academy) header from the centre of the box is close, but misses to the right following a corner. Corner, Edusport Academy. Conceded by Chris Dodd. Corner, Edusport Academy. Conceded by Darryl McHardy. Attempt saved. Jordan Allan (Elgin City) right footed shot from the centre of the box is saved in the centre of the goal. Delay in match Jordan Allan (Elgin City) because of an injury. Attempt blocked. Sofiane Zeghdane (Edusport Academy) right footed shot from outside the box is blocked. Attempt missed. Chris Dodd (Elgin City) right footed shot from the right side of the box is just a bit too high. Attempt blocked. Salam Ahmed Bouchentouf (Edusport Academy) right footed shot from outside the box is blocked. Attempt missed. Jordan Allan (Elgin City) right footed shot from outside the box misses to the left. Chris Dodd (Elgin City) wins a free kick on the right wing. Foul by Salam Ahmed Bouchentouf (Edusport Academy). Foul by Mickey Hewitt (Edusport Academy). Foul by Grand Nelson (Edusport Academy). Corner, Edusport Academy. Conceded by Alisdair Sutherland. Mickey Hewitt (Edusport Academy) wins a free kick in the defensive half. Attempt saved. Jordan Allan (Elgin City) header from the centre of the box is saved in the centre of the goal. Goal! Elgin City 1, Edusport Academy 0. Brian Cameron (Elgin City) right footed shot from the centre of the box to the bottom left corner following a corner. Corner, Elgin City. Conceded by Ilies Belkacem. Attempt saved. Jordan Allan (Elgin City) right footed shot from outside the box is saved in the bottom right corner. Attempt saved. Brian Cameron (Elgin City) right footed shot from the centre of the box is saved in the top centre of the goal. Attempt missed. Alisdair Sutherland (Elgin City) right footed shot from outside the box is close, but misses to the left. Attempt missed. Stephen Bronsky (Elgin City) right footed shot from the centre of the box is just a bit too high. Corner, Elgin City. Conceded by Mickey Hewitt.